Marimekko Siirtolapuutarha plate made of white stoneware. 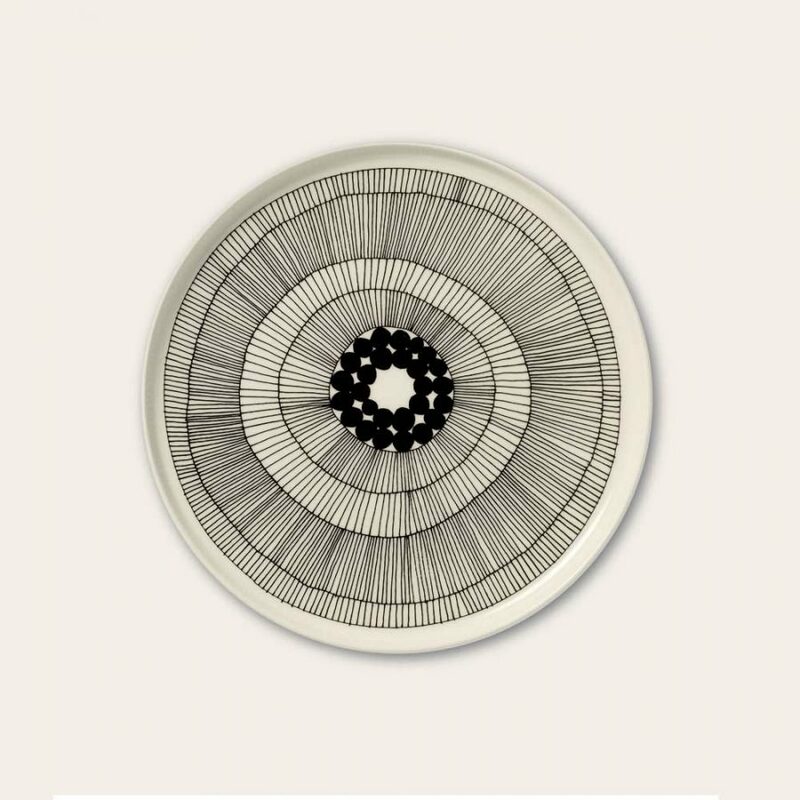 A simple black and white floral design making this plate an excellent gift for newlyweds and housewarming parties. 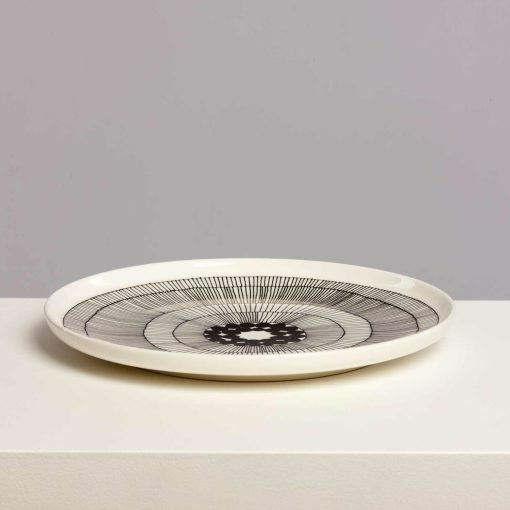 They look so smart that they´ll make the other residents of your plate cupboard look better, too.The Oiva stoneware collection is the perfect white ceramic classic.